The existing wastewater treatment system at the North Cove development in Wickford, RI could not nitrify and denitrify in winter conditions. The system also had difficulty maintaining nitrification with warmer wastewater temperatures. The existing system consists of numerous septic tanks that receive wastewater (black and gray water) from residential buildings, discharging to a main pump station and then to a fixed film process that uses a static bed of fixed film media. The media is susceptible to red worm proliferation, a predatory bacteria that consumes nitrifiers. For this design, we used our complete mix fixed film (CMFF®) process, also referred to as the MBBR. The CMFF® reactor houses our BWT-X biofilm carriers, which provide a large specific s.a. for growth (650 m2/m3) and move freely within the liquid volume of each basin. The movement prevents growth of preditors. The CMFF® process is a four stage system in which wastewater flows through a swing zone (anoxic or aerobic), an aerobic zone, an anoxic zone, and a polishing aerobic zone prior to clarification and discharge. External carbon is added to anoxic zones to provide food for denitrifiers. Alkalinity is dosed to compensate for that consumed in the nitrification step. 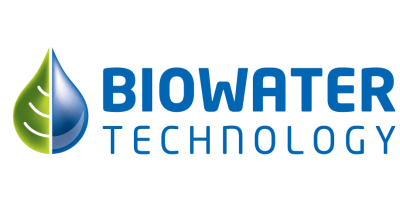 Biowater’s CMFF® process is a standalone biological treatment system, with no need for sludge recycle. Solids separation is required and is achieved by conventional means of gravity settling. The completely mixed nature of Biowater’s process prevents red worm proliferation, as the constant collision of carriers shear the large bacterial cells. The marriage of anoxic and aerobic zones with supplemental carbon and alkalinity supports full nitrification and denitrification. No comments were found for Municipal: Wickford, USA. Be the first to comment!